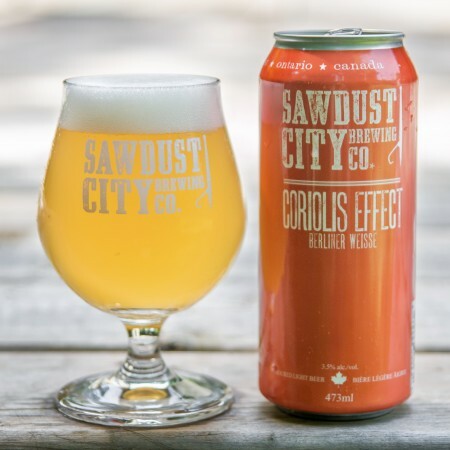 GRAVENHURST, ON – Sawdust City Brewing has announced the return of a previously seasonal and now year-round beer. Coriolis Effect is an old world, traditional German-style Berliner Weiss, brewed with new world techniques. Refreshingly tart, brilliantly lively and perfect for a summer day, this unique beer style is exactly what you’re searching for if you’re looking to move in your own direction! Coriolis Effect will be available tomorrow (February 14th) at the Sawdust City retail shop and online store, as well as select beer bars in Ontario. Cans will also be available soon at LCBO and grocery store locations throughout the province.